It was the first thing I saw when I entered the bookstore - the fact that it was under a spotlight might have helped draw my attention. Immediately, I had to pick it up, I had to touch it. But I didn't decide to buy it straight away. I kept going back to it whilst browsing, and eventually it was just blind compulsion - book, counter, credit card. And when I saw the cover was credited to the fabulous illustrator Jillian Tamaki, well, I was completely sold! 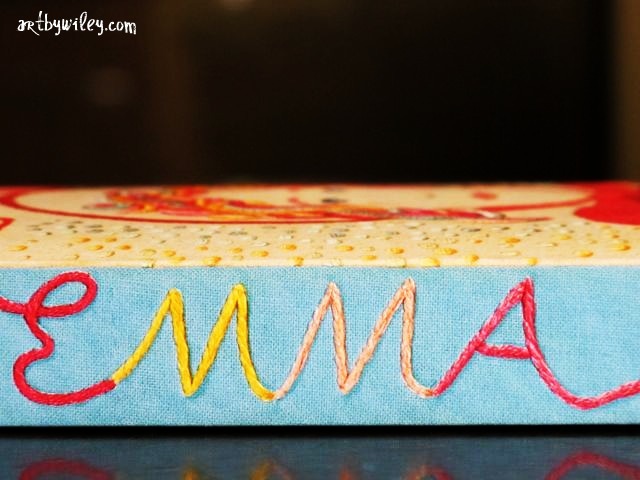 Love the way the inside cover and flap shows the reverse of the embroidery (below). 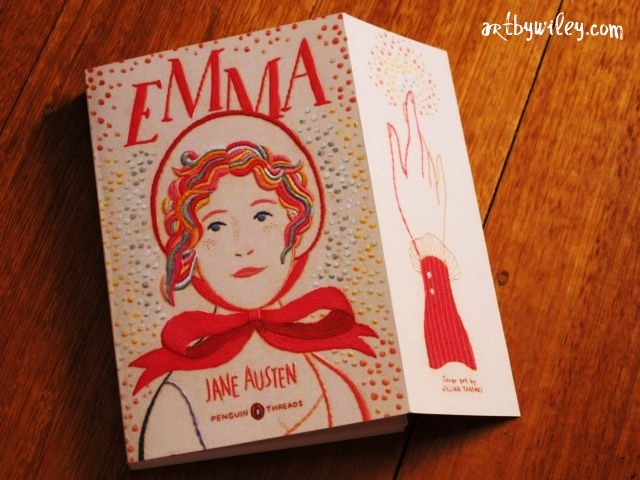 Emma is the first Jane Austen book I ever read as a teenager and so it holds a special place in my reading history. The book itself is brillant. Haven't read it? Read it! And if you like lovely things, buy this edition! 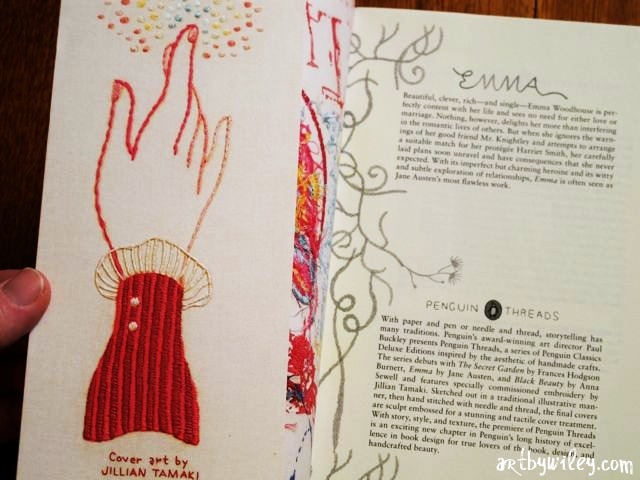 It was created as actual embroidery from original illustrations and has been released by Penguin under the special title of 'Penguin Threads' along with two other books (illustrations and embroidery also by Jillian Tamaki). You can go to this page and watch a little video about how it all came to be. I just love how art director Paul Buckley explains that he got the idea for the special edition covers when he was browsing on Etsy! 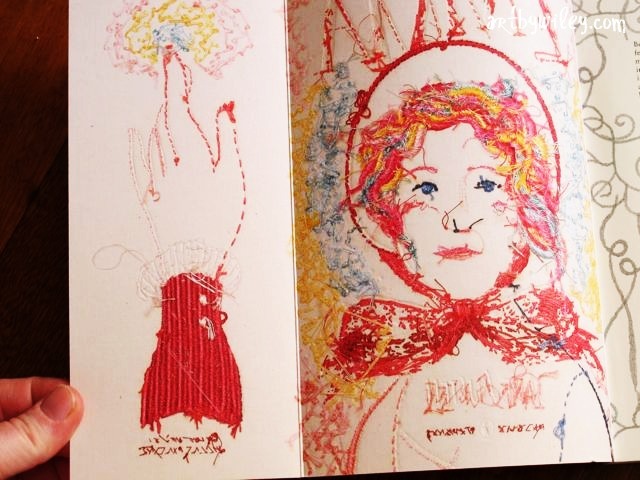 Go here to see Jillian Tamaki's personal embroidery project which originally got her the gig. Love this so much! 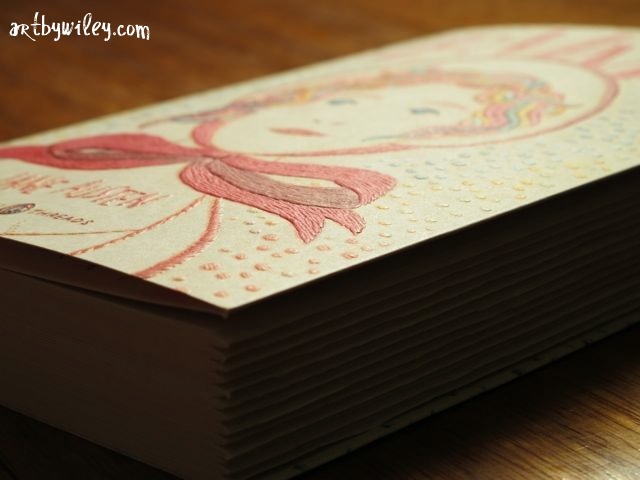 And for more of Jillian's work, check out her 'sketchblog'. 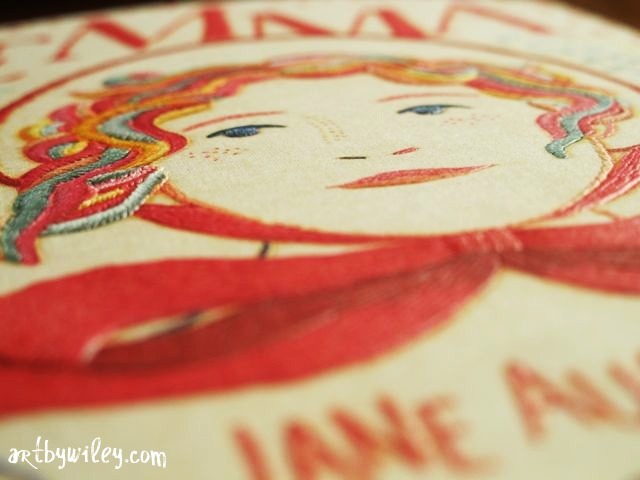 Lastly, I found this great resource on her website for students or anyone else interested in working as an illustrator. Gorgeous detail from the back cover.